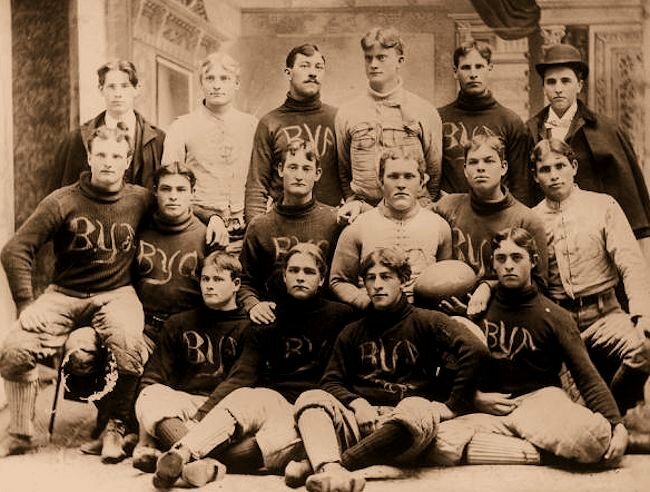 In 1896 the first BYA football team in 1896 played the University of Utah three times, and also the Elks, the Crescents, the YMCA of Salt Lake City, the Wheel Club of Denver, and Westminster College. The team included, back row, left to right: Eugene McArthur, BYA Athletic Association president; Heber Larsen, A. D. Miller, Dave Hyde, Alma Carbine, Walter Hasler, manager; middle row: Nephi Otteson, Jesse LeFevre, Orville Larsen, Hans Poulsen, John Peterson, Andrew Peterson; front row: Albert Fillerup, Sam Hinckley, Ben C. Call, and Frank Cox. Brigham Young Academy's founding principal, Karl G. Maeser, focused on academics and did not include school sports for his high school students. Principal Maeser's term ran from 1876 to 1892. His goals were to teach integrity, honor, and scholarship combined with spirituality, and his ideals prevailed through to the end of the school in 1968. In 1892, Dr. Maeser's successor as BYH high school principal was Benjamin Cluff, Jr. Principal Cluff had studied at the University of Michigan where he had seen first hand the benefits of school sports as a healthy complement to academic life. He encouraged student participation in athletic pursuits. In March of 1893 the student newspaper The Normal noted the formation of an athletics club at the Academy. 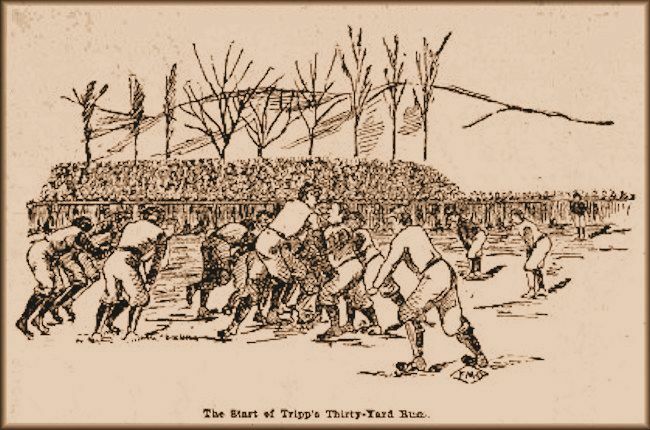 Initial contests were intramural games between high school classes, and each year a BYA Field Day spotlighted baseball and track & field events. 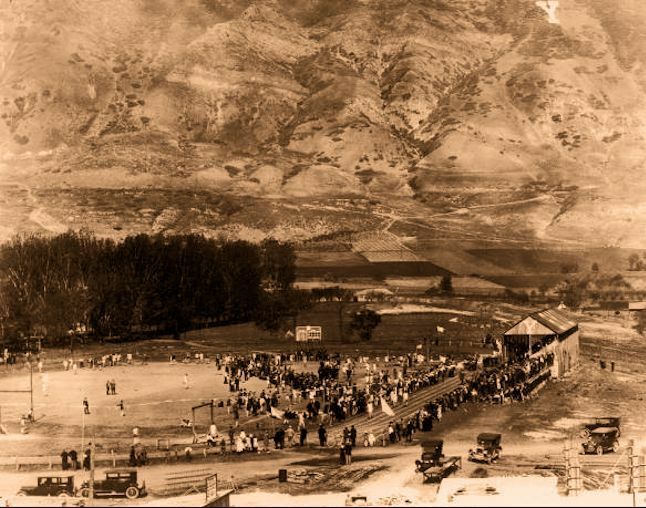 The athletic fields were located at such places as a resort on the shores of Utah Lake, and later on the Upper Campus, on land situated where the Joseph Smith Building was later built. Competitions with other schools and independent athletic clubs began in baseball in 1891, football in 1896, track & field in 1899, and basketball in 1900. 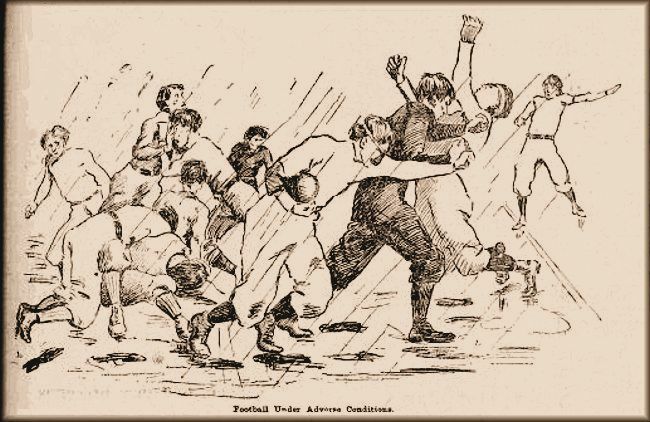 The football teams struggled in their early years, fighting opposition from both more experienced teams and Church leaders who were unsure about endorsing football with its many injuries, rowdy crowds and boisterous yelling. After the son of a member of the LDS General Board of Education for Church Schools died as a result of football injuries, and the son of another General Board member was maimed for life from the same cause, football and indeed, all school sports at Church academies were called into question, with the various academy principals arguing in favor of sports programs. The General Board finally decided to let each academy's board set policy for its own school. 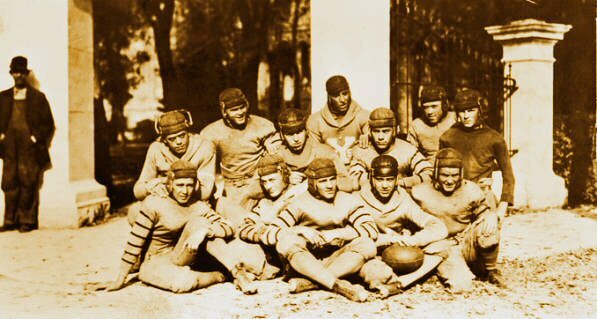 Most boards took a moderate stance, like the Salt Lake Stake Board that allowed athletics, but specified that football be excepted "as a barbarious brutal exercise not to be dignified by the title of a game". By December 1900 all semblances of organized football had been excluded from the BYA sports program, and remained so until 1920. Nationally, dozens of athletes were dying following football scrimmages each year. The Church academies were not the only schools of that era that chose to ban football because of injuries and deaths. 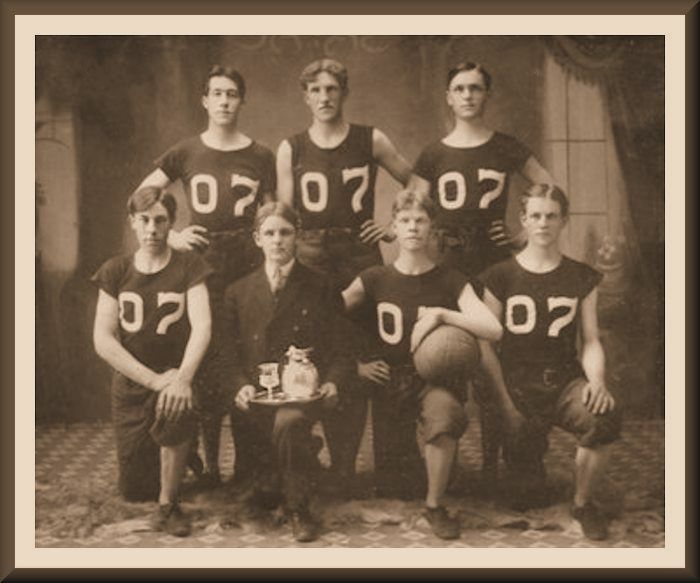 Basketball proved to be the strongest team sport at the school, and at the Y, this sport started out as a women's game. 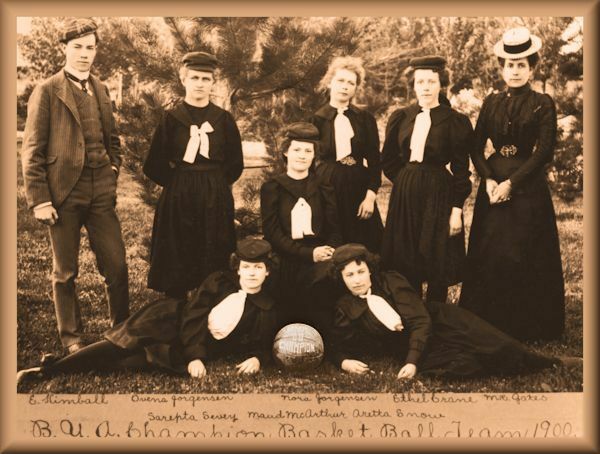 BYA Women's Basketball Championship Team of 1900. Pictured are E. Kimball, manager, left, with Ovena Jorgensen, Serepta Sevey, Maud McArthur, Nora Jorgensen, Aretta Snow, Ethel Crane, and M. R. Gates. The Academy and High School produced a number of fiercely competitive athletes over the years, and many were honored as all-state competitors. In every decade, dozens of talented sports stars went on to play for university teams. The most accomplished athlete in early BYH history was, indisputably, Alma W. Richards, BYH Class of 1913. He was an example of how BY coaches mixed high school students with collegiate students in individual and team sports. In 1912, as a junior in high school, Alma Richards won an Olympic gold medal in Finland for his high jumping, and that was just the beginning of his spectacular athletic career back in the States. BYA and BYH often had a lower enrollment compared to the other schools they faced in athletic competition -- usually with only 60 students in each high school senior class, including boys and girls. Nevertheless, the school was consistently well represented in athletic competitions. 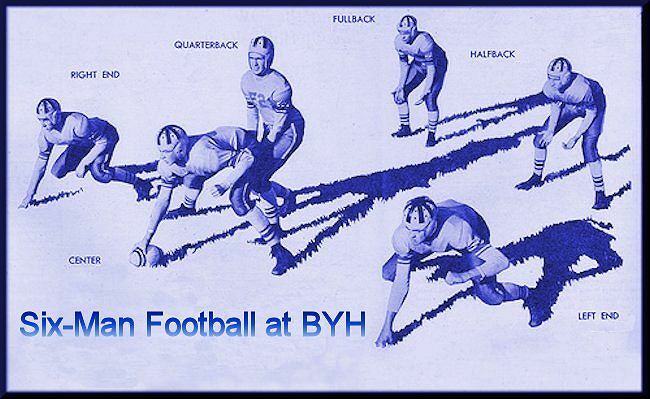 In 1940 BYH played six-man football, and battled in a championship game to a tie, sharing the Utah State Championship with Parowan. Coach Dave Crowton, BYH, in a show of sportsmanship, ceded that title to Parowan because of a brief and unavoidable BYH substitution violation in a previous game. BYH moved back to 11-man football in 1943. The job of manning a larger football team year after year was always a challenge for BY High coaches, but the courageous Wildcats fielded full teams that won many hard-fought games. 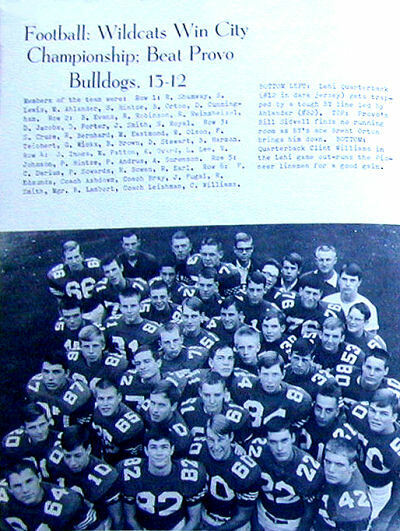 BYH battled to second place finishes in 1940, 1941, and 1959 in state football championship games. Many singular honors were won by BYH tennis team members in annual competitions. In golf, various athletes participated and excelled, including Bob Swenson, who tied for top honors in the State in 1948. 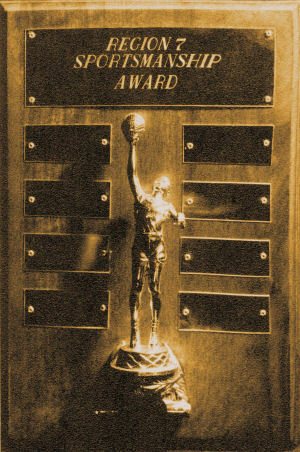 The record of basketball accomplishments is particularly noteworthy. The teams in every decade from the 1900s to the 1960s were tough and pulled off many upset victories. 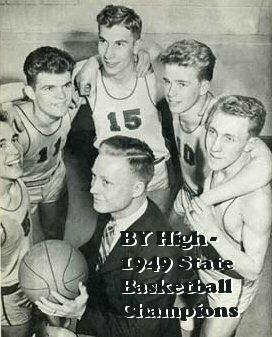 In Class B competition, the BYH basketball team took the Region and then BYH's first State basketball championships in 1948, and 1949. Harold Christensen, Class of 1949, played on both State championship basketball teams, and also lettered in football -- he was quarterback -- baseball, track and tennis, the only BYH athlete to letter in five sports. He received All American honors in basketball, and went on to have a distinguished record of achievement at BYU and for the rest of his life. There is much more to know about him; suffice it to say that he was the all-time, all-around top athlete in modern times at BYH. 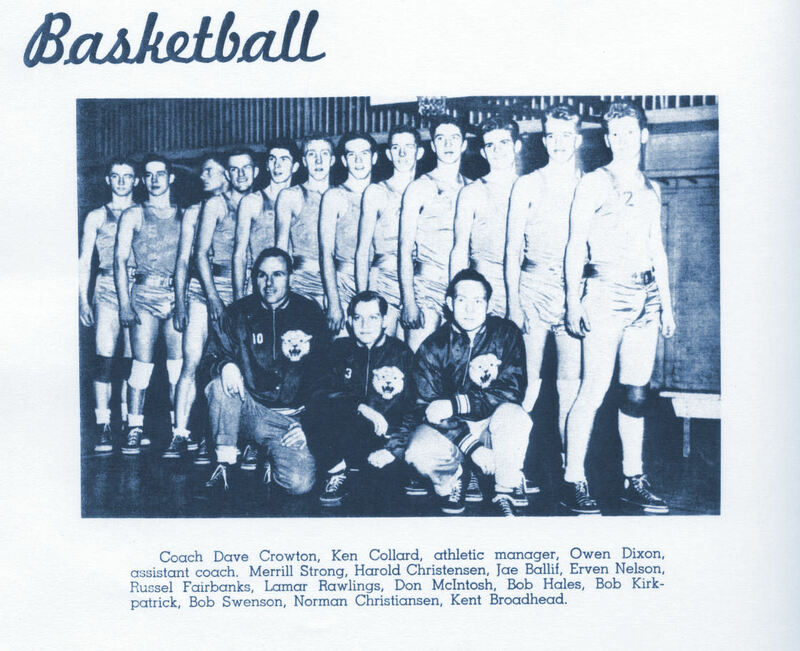 In 1952, BYH placed second in state basketball competition. The 1960s were filled with winning regional titles. 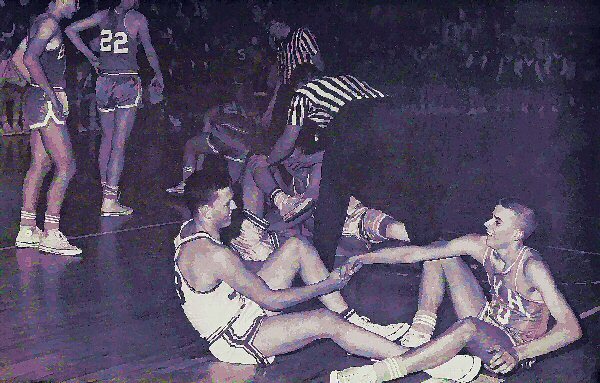 In 1962 the Wildcats took Consolation at State. 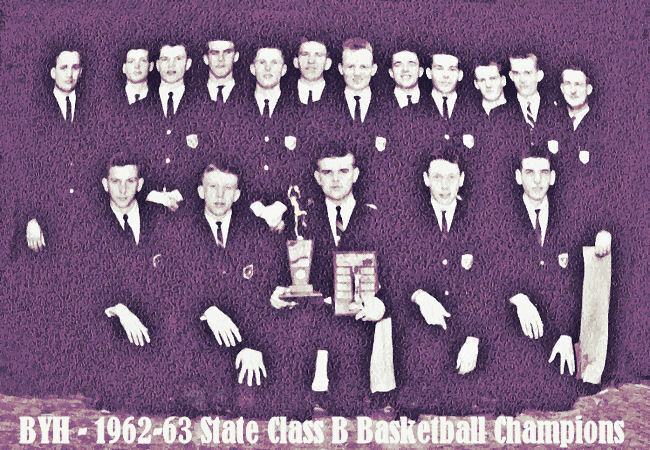 In 1963, the BYH basketball team, coached by Courtney Leishman and and Jed Gibson, took the State Class B Championship, and received the high honor of being recognized with the Region 7 Sportsmanship Trophy. In 1967, the BYH basketball team won the Region IV Class A title. In baseball, the Wildcats won the Region title five times: 1957, 1958, 1959, 1965, and 1967. For an eyewitness account of the 1967 season, click here. It was the goal of all BY High teams to demonstrate integrity, good sportsmanship, a strong competitive spirit and a determination to meet every challenge that faced them, in the spirit of Principal Karl G. Maeser's teachings from 1876 to 1892. 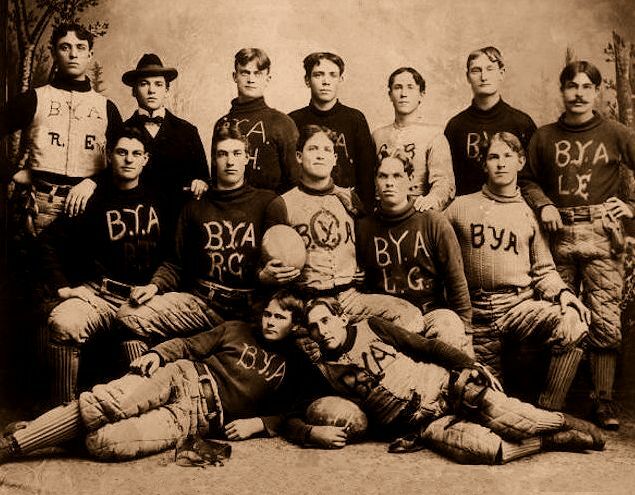 Members of the 1897 BYA football team included, reclining: Albert Fillerup, left, John A. Johansen; seated: Bert Miller, Frederick Ewell, John Judd, Dell Brown, David Hall; standing: Frank Cox, Bayard Mendenhall, David Hyde, John Petersen, William M. Hughes, Orvil Larson, and Jesse LeFevre. 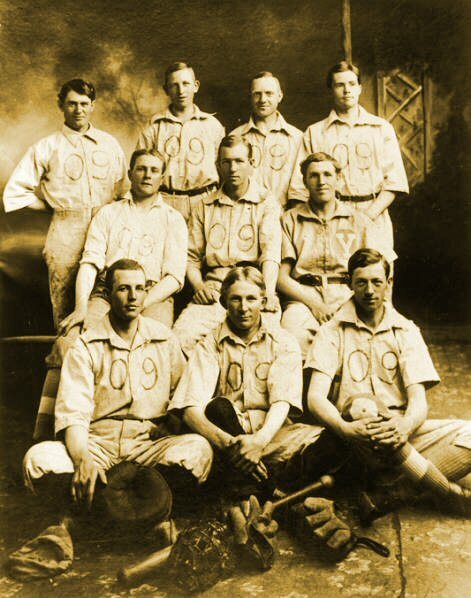 The 1909 Brigham Young High School baseball team included: top row: George Brooks, John Hunter, Aldous Dixon, Wyman Berg; middle row: Bert Richards, George Foster, Hugh Baxter; bottom row: Lloyd E. Woods, Lynn Baxter, and Orrin Wilson. 1920 Football Season Banyan Recap; First Season When Football Returned to B. Y.
Larry Denham (r) demos sportsmanship in 1966.